Shopping for photographers is hard. In fact, shopping in general is hard. We’d like to help everyone involved out a little bit, whether you’re shopping for a photographer or taking a break from the stress of holiday shopping to #treatyoself. Our first round of gift suggestions make for great stocking stuffers that won’t put a strain on your budget. One of the fastest and easiest ways to polish your video work is to improve the sound quality. While phones may be able to put a 4K video camera in your pocket, their microphones are made for voice calls, not Hollywood. Since carrying an external audio recorder around for mobile videos is somewhat impractical, allow me to suggest the Rode VideoMic Me. 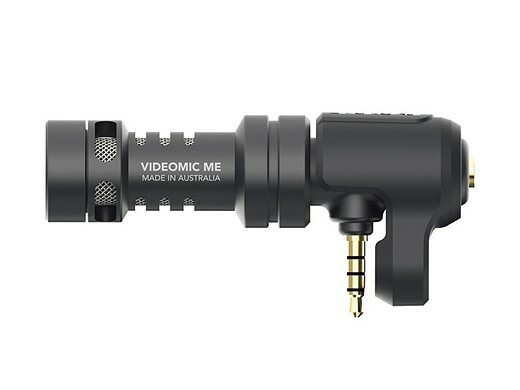 The VideoMic Me is a compact and lightweight directional microphone that connects right to a smartphone’s headphone socket (sorry, iPhone 7/7 Plus users). The mic’s directional pattern will keep ambient noise at a minimum and make your subject’s audio easier to hear. There is a passthrough 1/8 in (3.5 mm) headphone jack on the back that allows audio monitoring while recording (app dependent). It even comes with a tiny ‘dead cat’ windscreen for shooting in adverse weather. When hiking or engaging in other fast-paced activities, photographers are often stuck with their camera stabilized, but inaccessible in a pack, or having it accessible, but bouncing and swaying around on a camera strap. 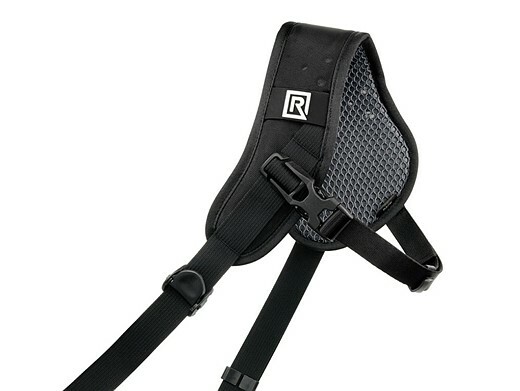 BlackRapid’s Sport Breathe strap is designed specifically to help avoid that problem. Available in right or left hand versions (so make sure you get the correct one), the Breathe’s ergonomic, moisture-wicking pad is designed to be slung over the photographer’s shoulder with the camera hanging upside down on their opposite hip for quick and easy access. A second strap crosses under the user’s armpit and further stabilizes the camera when needed. Not every camera bag needs to be able to carry as much gear as a pack mule. Many photographers enjoy shooting with one camera body and a couple small fast primes, or just own a small mirrorless kit for travel. Either way, a small tough bag is a handy accessory to have around. 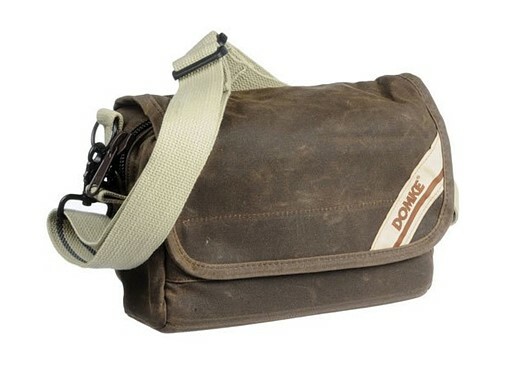 While bag designs come and go, the Domke F-5XB quietly keeps on doing its job. Perfectly sized for a small body and a lens or two, the F-5XB can be carried with its ‘gripper’ shoulder strap or attached to a belt as a waist-pack. The Ruggedwear fabric sheds water much better than the old canvas Domke bags, and like your favorite pair of jeans, it will look even better as it ages. Living in the Northwest, I’m quite familiar with rain. I’m also quite familiar with the hassles involved with trying to keep camera gear dry while out in that rain. Waterproof camera bags either have giant stiff zippers or slow and frustrating roll-top closures. Neither lends itself to giving you easy access to your gear. 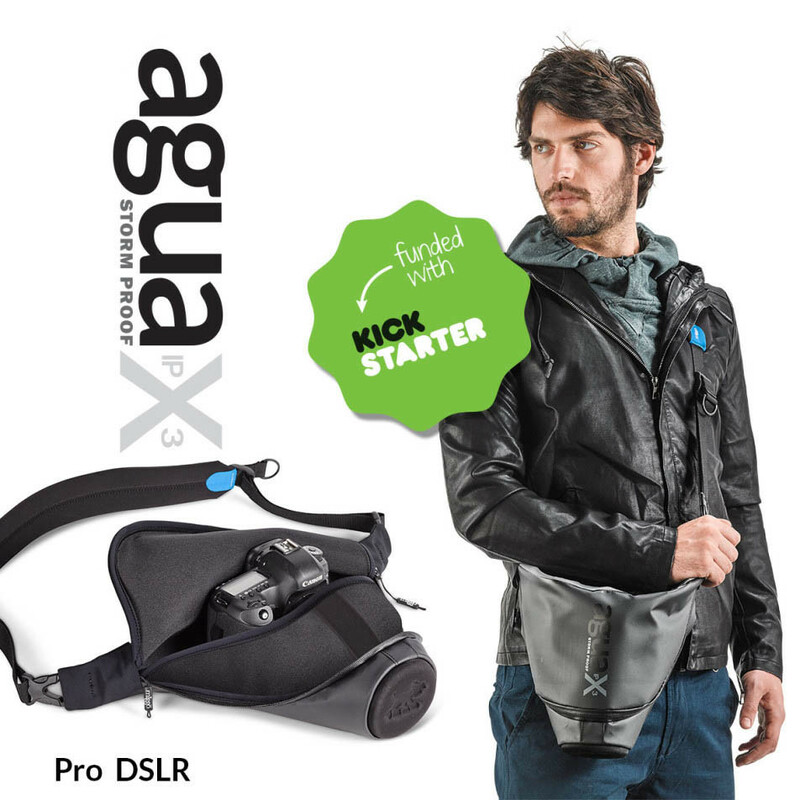 Miggo’s Agua bags are designed to protect a camera in the harshest downpour, but still keep it accessible for when the clouds part and that double rainbow appears. With a clever split open design, double layer impact and moisture protection, and an IPX3 water resistance certification, the Aqua 45 keeps the elements at bay. A circular polarizer is something that many beginner photographers do not understand and thus, do not bother with. 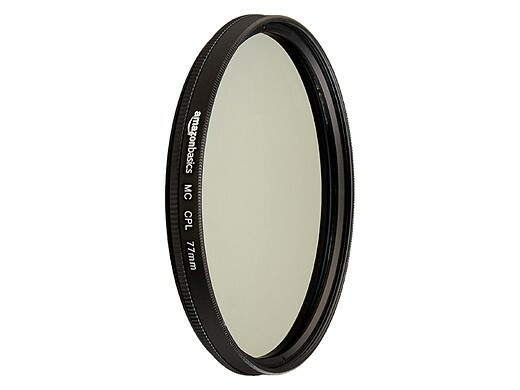 I see far more photographers out and about with $2000 lenses than I do using the humble polarizing filter. Perhaps they would change their tune if they saw just what a difference a polarizer can make for colors, glare and reflections. High-end polarizers can be very expensive, particularly for 77mm F2.8 zoom lenses. While you can certainly find higher quality filters than the Amazon Basics Circular Polarizer, at $16 you won’t find a better value for the money. Every photographer should give one of these a try and see what a polarizer can do for their photography. As photographers, we go through a tremendous amount of work to create our images. We huddle freezing in the mud waiting for the perfect mountaintop sunrise, we spend hours adjusting every studio light just-so and we even risk getting soaked at a children’s birthday party water balloon fight. Why then, would a photographer take a chance that their hard-won image would end up with incorrect colors by the time it makes it to the printer or social network posting? Color calibration isn’t the most glamorous aspect of photography (though, come to think of it, neither is waiting in the freezing mud). But if photographers want their photos to accurately reflect the colors they captured, they need to make sure that their monitor is displaying them correctly. Give the photographer in your life the gift of accurate color with the Datacolor Spyder5Express. The Spyder5Express’s simple 4 step process takes just minutes to to calibrate a monitor with its 7-detector optical engine. Seeing the before and after examples right there on their own monitor will make any photographer wonder why they waited so long to calibrate. Not everyone needs a shoulder/neck strap for their camera. Sure, they leave a photographer’s hands free. But they can be bulky, snag on things, and dangle into the shot from time to time. Sometimes all one needs is something to make sure the camera can’t be dropped off a cliff. The Peak Design Cuff strap is simple, lightweight and foolproof. 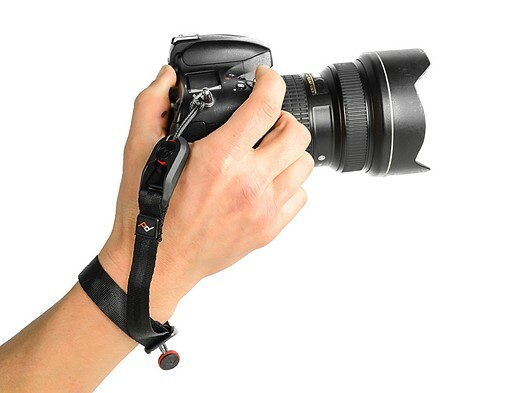 Installed or removed in seconds with Peak Design’s clever anchor attachments, the Cuff takes up a tiny corner of a camera bag and yet can save thousands of dollars of camera gear. It can even be worn as a bracelet to keep it at hand in between uses. Cameras these days can capture exceptionally high video quality. Everything from DSLRs, mirrorless cameras, GoPros and even phones offer 1080p and even 4K resolution. However, almost none of them are designed ergonomically for filming. They can be difficult to keep level over the course of a long shot and impossible to hold steady while moving. 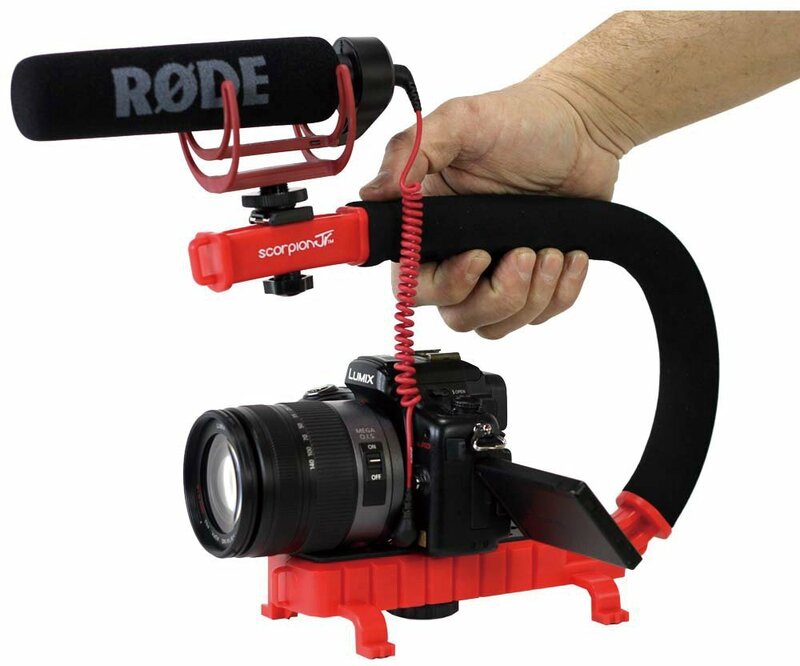 If you have a budding Steven Spielberg in your life, take a look at the Cam Caddie Scorpion Jr. camera stabilizing handle. It can hold cameras up to 2kg/4.5lbs, has a comfortable foam grip and an adjustable accessory shoe for mics, small monitors and LED lights. With a little luck, you’ll never be forced to watch shaky drifting video footage again. Despite living in an age of Instagram, Flickr and Pinterest, most folks still get a little thrill when they get a printed photo. My children think a printed photo is such a novelty that it MUST be a special thing and fight over who gets to keep it. Inkjet printers can provide amazing quality, but ink is expensive, the prints are damaged by moisture and the print jets can clog without regular use. Digital printing is inexpensive and quick at photo labs, but if there isn’t a lab nearby, slow mail order may be the only option. The Canon Selphy CP1200 offers an excellent middle ground. 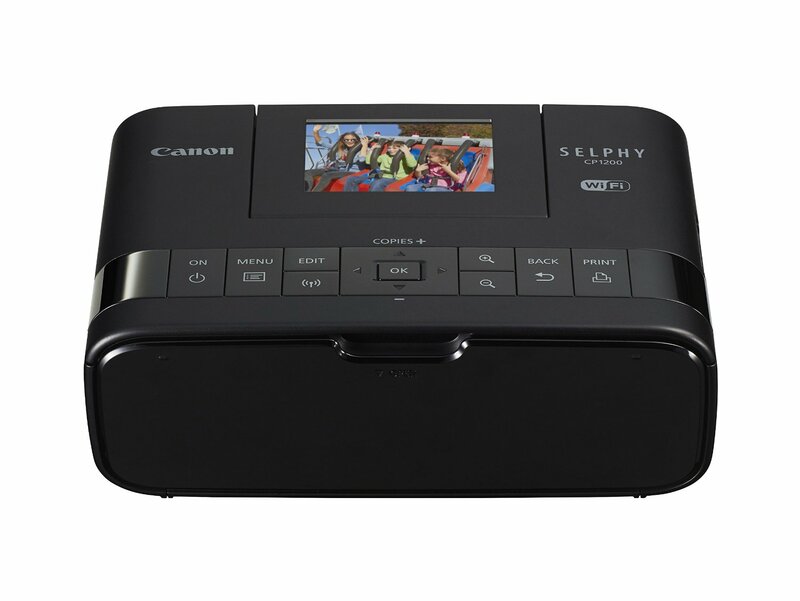 At the price of an inexpensive inkjet, the CP1200 is a printer that can output 4 x 6 prints in at little as 47 seconds. Because the dye sublimation process is water resistant, just like a photo lab print, the prints will be protected from both liquid and little sticky hands. Media for the CP100 includes both the paper and dye ribbon. At $28 for 108 sheets, prints come out to $0.26 each. Looking for a stocking stuffer? These PhotoMemo Photographer’s Memo Books are designed for a photographer’s note taking needs. Each two-page spread is designed as a ‘roll journal,’ which has space to record shooting data, camera/lens choice, film type, and more. It also offers ample area for free notes, sketches, lists, and anything else. The books measure 13.9 x 9.5 cm/5.5 x 3.75 in and has 22 2-page spreads (48 pages in all). The cover paper is 100lb Neenah Environment Desert Storm paper, and the pages are 60lb Finch Opaque Smooth archival quality paper. 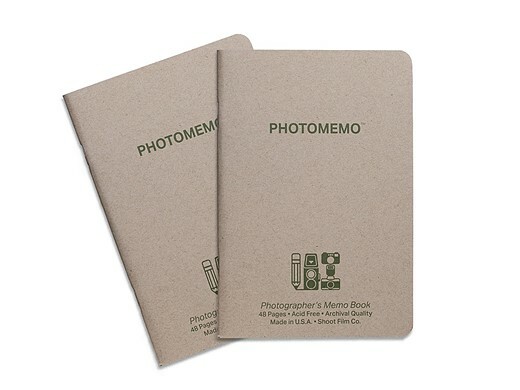 Okay, so it’s a little more useful for film shooters, but for those who enjoy the retro feel, like to record shooting info, or heck, still shoot film, the PhotoMemo is a clever little memo book.